Mix all ingredients in a blender. If it’s too wet add more cocoa powder. Just make sure you have a solid dough at the end. Roll the mixture into small balls. 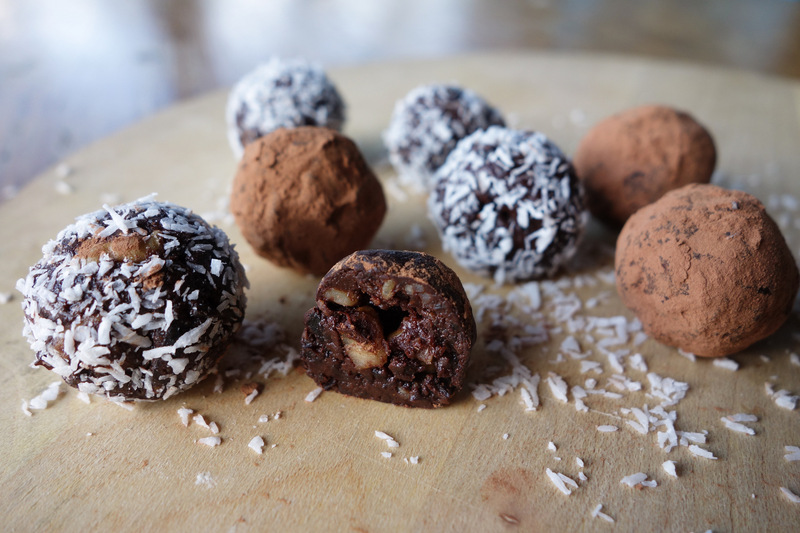 After, roll them into cocoa powder or desiccated coconut. Put them in the fridge for 1-2 hours. Best if eaten at room temperature.